Is there a difference between revealing your infidelity to your partner and allowing him or her to find out from another person or source? Yes, there definitely is! You may think that it’s all the same, that he or she is going to get mad and upset and hurt all the same. So why put yourself in the crossfire voluntarily? Giving yourself up and revealing your infidelity to your partner has its advantages along with its disadvantages. One of which is it allows you to plan and set up the things you are going to say and how you are going to say them. You are in control of how the news is going to be delivered, unlike when someone else does it where the possibility of it being revealed in a destructive way. With you revealing your infidelity, you can tell your partner what you did, what happened, where and everything else that he or she needs to know, and you can say it in a way that will bring reconciliation and peace, in an open and honest way. You will also have the opportunity to kind of prepare yourself for how your partner will react to your revealing your infidelity. You can anticipate this reaction and you will be able to steel yourself for the things he or she is going to say and do. What you need to remember is that even though you came forward and admitted what you did, it does not change the fact that it is wrong and hurtful, and a betrayal of your entire relationship. So your partner will obviously be hurt and will most likely want to try to hurt you as well. 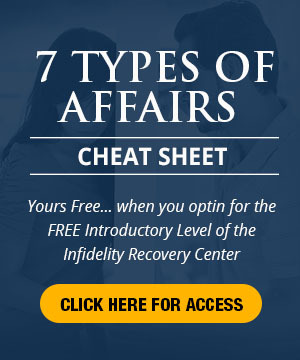 Get ready for this before revealing your infidelity. And although these are things that are going to help you in revealing your infidelity to your spouse, you have to make sure that the reason behind this reveal is not mainly to lighten your own guilt, but because you want to improve your relationship and strengthen it. 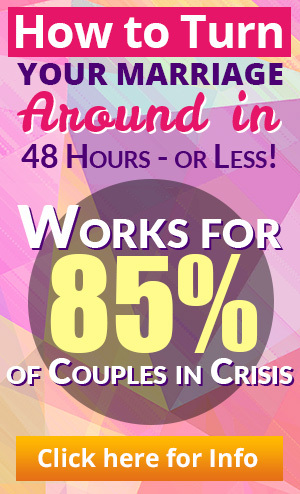 This entry was posted in Infidelity Pain, Infidelity Reasons, Relationship Communication, Relationships: Marriage, Trust Building, Uncategorized and tagged affair help, cheating spouse, extramarital affair, forgiveness, healing the marriage, infidelity help, marriage communication, trust building. Bookmark the permalink. There was a plan agreed to. A 3 day intensive w/a leading expert on sexual addiction including a polygraph $5100 plus expenses!! He read his disclosure like he was reading a book (flatline 0 emotion) even the Dr was angry! He passed the poly (pathological liar can do that by omission & beliveing their own lies). That was over a year ago. I had 30+ years of a secret life dumped on me from my “sweetheart” and the games had just begun. I found out about the 1st (8yrs in) by a friend of a friend. Found out he “learned” to hide the rest even better & made deliberate choices (locations) (activities even deeper more devestating). I AM HEALING a lifetime. Married at 19, beginning to start over at 56. All he says is “I can’t lose you” ” I loved u more than anyone” Well, he lost my heart even though I am still here. I am taking my time to balance. I have no job (the ol sabotage) but what I am planning for myself is beyond just a paycheck! However ANY of us “FIND OUT” becomes less the issue eventually. What has been the “carnage” of a lifetime can truly b a projectile, a leverage, a GIFT of GODS GLORIOUS GRACE (the truths revealed). Today I know, I really was ENOUGH! GENUINE in my love, faithfulness, care, work, compassion, understanding and willingness to forgive (obviously 30 yrs after the 1st?). Whoever u r reading this-you r beautiful/handsome, full of light & love. Your partner abused and invalidated your being ( how weak when u REALLY think about it)! The absolute hardest is “seeing” yourself again- not through their eyes (they quit seeing u & only saw themselves)– but through your OWN. U R NOT LESSS-U WERE AND R MORE. continue to live in your integrity! That’s something NO ONE can take away!!! My sweetheart was just a snake in the garden of my life–THANK GOD I can still plant seeds & keep growing!! I don’t have to crawl on my belly & slither thru life looking for someone (another snake) to meet me there for recognition). We were standing tall- that’s why we didn’t see them! All this comes thru from a beyond shattered heart (it almost broke me, my life, my kids, my grandkids). There r still many days I tear up, cry 4 the incredible losses as I still view the “sweetheart” in my life, feel the opened wounds. Cry for the losses in his own life (whether he cares or not) they matter to me because that is what real love does whether we stay or go. There is no way to convey my deep felt hurt for anyone who’s been where we have been (betrayed by a kiss so to speak)-KNOW that we r covered by the “ONE” who suffered it first. And so r the betrayers, but it is ALL of our jobs to source LOVE from “within” NOT from “without”. Stay strong, never ever stop loving– IT WILL BRING US “PEACE” no matter how it all goes. Thank you for listening, it means so much to me. Pls share anytime- I promise I am here to hear u too.